Vancouver based retailer Herschel Supply Co. was founded in 2009 by brothers Jamie and Lyndon Cormack and named after the town where three generations of their family grew up. Best known for their everyday bags and accessories, Herschel has made a name for itself across the globe as it sets out to “create a timeless product with fine regard for detail” (https://herschel.ca/about). 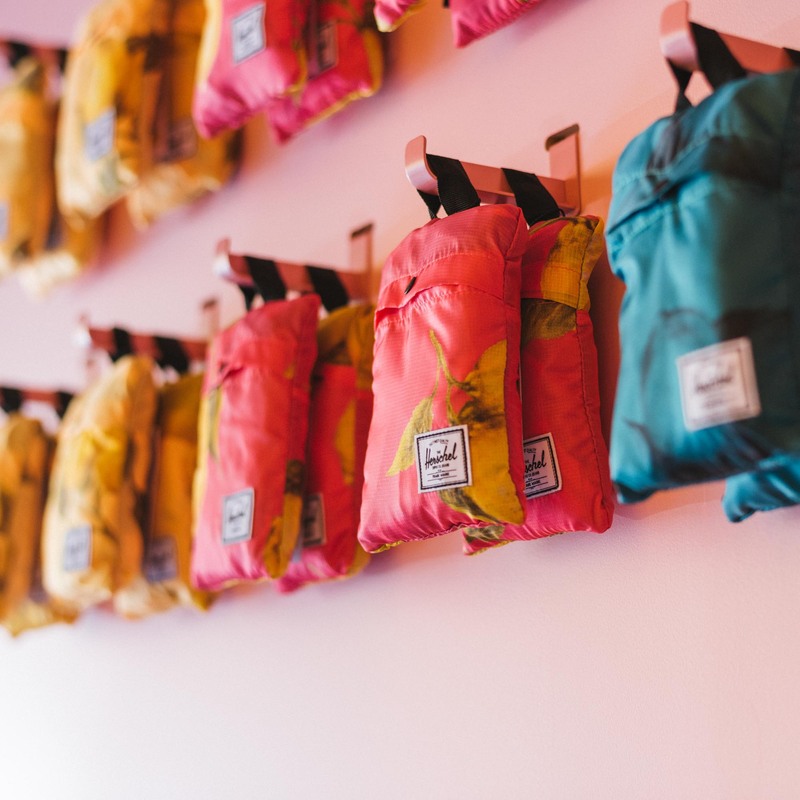 This year, Herschel Supply has come up with a summer-inspired design that is being showcased at its first stand-alone and adorable pop-up shop called The Lemonade Stand located in Deep Cove, North Vancouver. Open now throughout the summer months, the Lemonade Stand features exclusive and pop-up themed Packable Daypacks ($30) and Totes ($20), both of which collapse into their own internal pocket for easy storage. 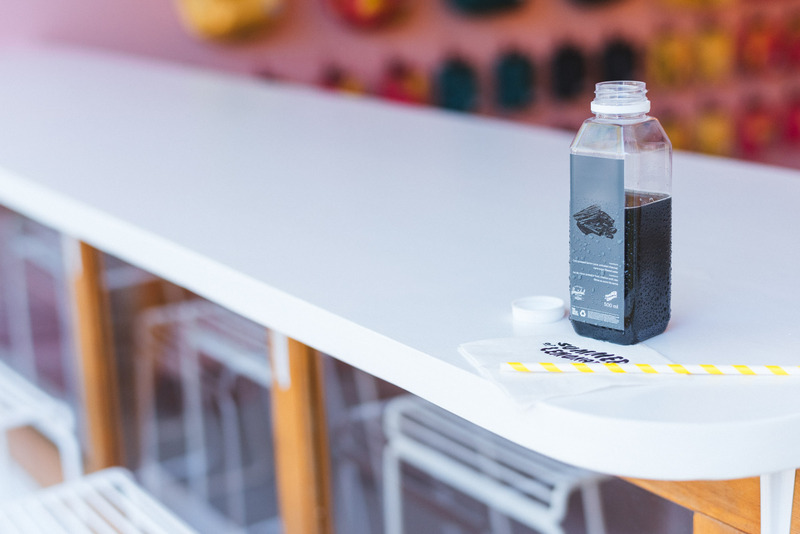 And if you need to quench your thirst, a variety of cold-pressed lemonades are also available at the pop-up shop, ranging from $4 to $7 and brought to you by local Vancouver company The Juice Truck. 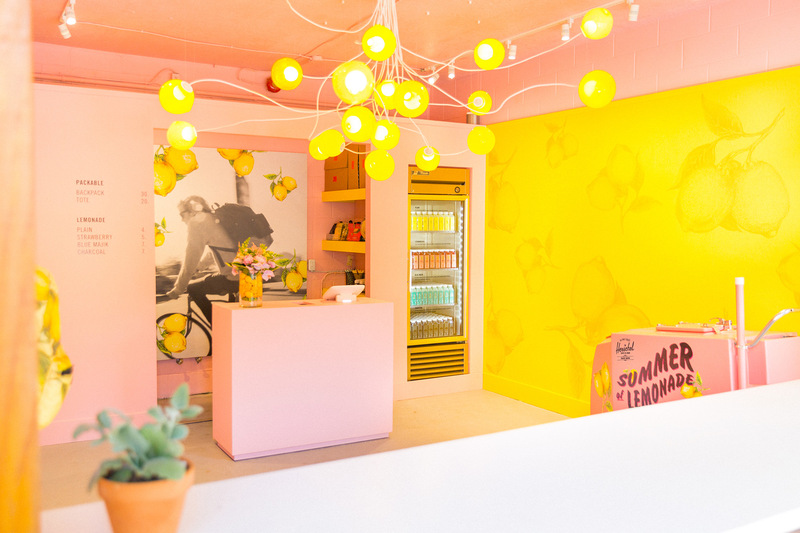 As for the pop-up shop itself, though it’s just under 300 square feet, you can’t miss it with bright yellow balloons at its storefront and a beautifully crafted space accentuated by pink tones, a custom hand-blown yellow glass fixture and a hand-painted lemon statement wall. It’s hard not to smile when you step into the pop-up space which was designed to reflect those easygoing summer days that everyone loves and the joy of childhood lemonade stands. The Lemonade Stand is just an initial taste of Herschel Supply’s design and story-driven retail capabilities, which are anticipated to be even more impressive when they open their first flagship location in Vancouver’s Gastown in spring 2018.